-Blog post by Reed Sandridge of Washington, DC. One in three children in the U.S. is overweight or obese according to the Alliance for a Healthier Generation. Pressure is growing on strapped for cash school systems to provide healthier meals. 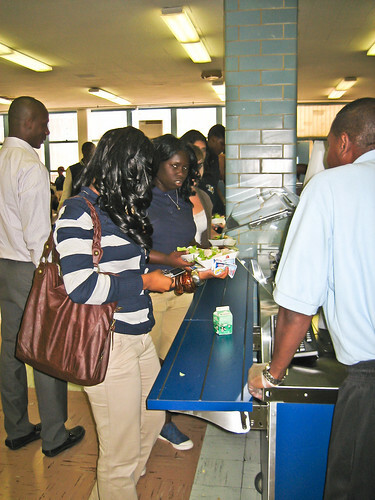 D.C. Public Schools has implemented a salad bar system this year and asked for volunteers to help teach students how to make a healthy salad that complies with USDA requirements for school meals. 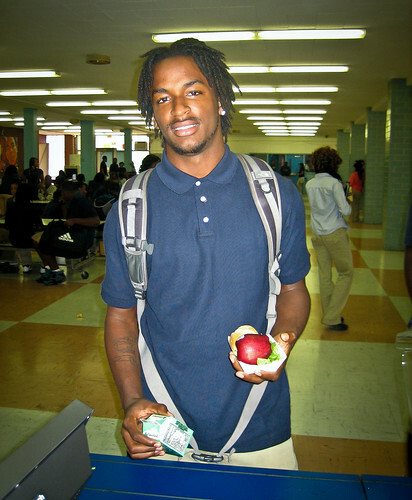 I signed up to help out at Ballou Senior High School. Named after former D.C. superintendent of schools Dr. Frank W. Ballou, the school is located southeast of the Anacostia River and has a student body of about 1,000, nearly all of them eligible for free and reduced lunch. I parked my car in the almost empty lot next to the football field and walked up the hill toward the school passing several parked police cars. A friendly smile greeted me as the front door opened and a uniformed security guard motioned toward an airport like security checkpoint. After collecting my camera and the contents of my pockets from the other side of the x-ray machine, the same woman explained to me how to get to the cafeteria. I made my way across the empty dimly lit cafeteria and poked my head in the kitchen. A dozen school cafeteria employees, mostly women, were busy making last-minute preparations for the second day of the school year. I was directed to Mr. Sparrow, a thirty-year veteran of the food service industry. He explained the task at hand and I, along with another volunteer named Hale, got ready for the first wave of students. “It aint going to be easy,” Mr. Sparrow told me. “You’ve got to make sure they have a balanced meal that includes vegetables, a protein, a fruit and a grain.” Sounds easy enough, right? 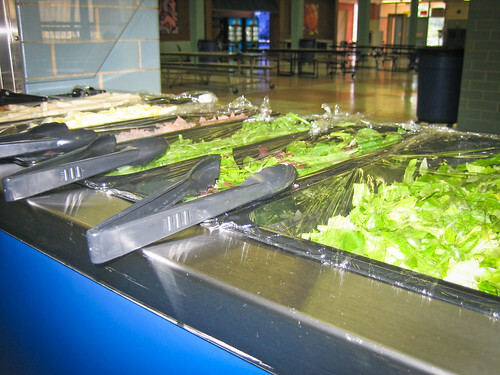 Although most students chose the standard school meal, probably about 60 or 70 lined up to make a salad. Freshly prepared that morning, the salad bar looked delicious. Although students could choose from fresh romaine, arugula and endive, most stuck with the standard romaine lettuce. Zucchini sticks weren’t very popular either, despite my sales pitch to the young people. Turkey ham, eggs, bacon bits and ranch dressing were the hot items. “Sir,” called out Mr. Sparrow to an upperclassmen dressed in the standard blue shirt and beige pants, “I need you to take a piece of fruit with you.” The student pushed back some saying that he wasn’t going to eat it. In the end he reluctantly grabbed a shiny red delicious apple and went on his way. This type of scenario played out about half the time. Sometimes they were missing fruit, other times they had loaded up on just meat and almost nothing else. Stern yet compassionate, Sparrow and his team work with the students to get it right. I secretly wondered where they found the patience to do this every single day. An altercation erupts in the cafeteria courtyard and the half-dozen police officers on hand in the cafeteria quickly defuse it. The experienced kitchen staff is unphased; just another day. Overall it was a good experience. It had been a while since I had been in a school cafeteria. Although I applaud Ballou and DC Public Schools for taking on this initiative, I believe they will need additional help to make this work properly. Just keeping the salad bar looking presentable is a full-time job for one worker who was busy restocking and cleaning up spilled toppings. They need someone for the foreseeable future helping students build a healthy lunch. As students head back to school tomorrow, the volunteers won’t be there anymore and I am afraid Mr. Sparrow and his team will be stretched too thin. Check out this video that DC Public Schools put together to help volunteers learn how to build salads that qualify under USDA guidelines as a school meal. I thought it was pretty good! Here is a link to some other photographs that I took. I will have more uploaded later this week. -Blog post by Reed Sandridge from Washington, DC. Just beyond the beltway of Washington, DC, Congressional Country Club was selected to host this year’s US Open. The United States Golf Association, the organizers of the Father’s Day classic, provides concession stands around the course that are manned primarily by volunteers. In turn, a percentage of the proceeds go toward those organizations that work the stands. Hands’sOn Greater DC Cares, the leading mobilizer of volunteers in the Greater DC area, asked for volunteers to help out and raise money for their organization. I’ve volunteered at several of their service days and always been impressed with them so I was happy to help them out. Now this may sound like a piece of cake, right? How hard could selling a few cold beers and hotdogs to a bunch of golf enthusiasts be? Well, you’re right it isn’t so hard, however it does require a lot of volunteers and a well-coordinated operation to serve the 230,000 attendees. After parking nearly 40 minutes away and taking a special shuttle to Congressional, I got checked in, tied an apron on and found myself pulling cold drinks and hot food for the cashiers. After about three hours of this I had to change jobs as my knee was failing me – I tore my meniscus two months ago playing softball. Anyway, I closed out the rest of the day running the register. All in all it was a good experience despite the scorching heat and lack of breaks throughout the eight-hour shift. We were slammed for five to six hours solid. I have no idea how much Greater DC Cares received – hopefully a healthy amount. Volunteers receive a nice perk – they are free to watch the golf play before and after their shift. I headed over to the 18th hole with fellow YoG volunteer and former Kindness Investor Maria D. We watched the golfers wrap up the second to last day of golf at the final hole. The last pair to putt and wave to the fans was South Korea’s Y.E. Yang and 22–year-old tournament winner Rory McIlroy who set a record with a 16-under finish. Blog post by Reed from Washington, DC. HandsOn Network is a very impressive organization. As the volunteer-focused arm of Points of Light Institute, they claim to be the largest volunteer network in the nation comprised of more than 250 HandsOn Action Centers in 16 countries. Where these guys really get traction is by digging into their more than 70,000 corporate, faith and nonprofit organizations that have stepped up to the plate to help create meaningful change in their communities. 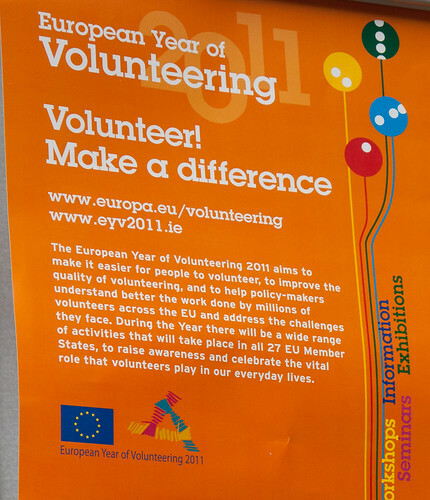 The latest figure I saw was that last year they racked up some 30 million volunteer hours. That represents over $600 million worth of services that nonprofits and government entities didn’t need to spend. That’s pretty awesome. I have a connection with HandsOn Network. You see I’ve been volunteering for a while with their local Action Center here in DC: Greater DC Cares. 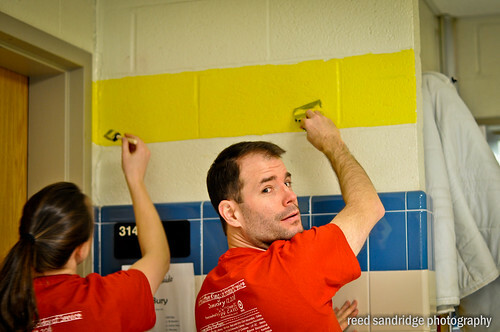 I recently participated in Servathon and on the MLK Service Day. I’m also building a team for their 9/11 Day of Service. HandsOn Network mobilizes people who want to do good. That is the hard part. All of us want to do good things, however, moving individuals to act is often the barrier. We have so many other parts of our lives that are pulling at us. But it can be done. Log on to HandsOn Network today and find a local Action Center near you. There’s more than 250 of them so there is a good chance there is one near you! And for those of you in Oconomowoc, WI, yes, even you have one near you…just down the road in Waukesha! Me volunteering at MLK Service Day in January. By the way, HandsOn Network and the Points of Light Institute (along with the Corporation for National and Community Service) are part of the driving force behind the National Conference on Volunteering and Service that will be held in New Orleans June 6-8. If you are passionate about volunteering, find a way to make it to the Superbowl of Volunteering and give me a shout…I’d be happy to meet up. These are the words that greet you when you fire up the website of Wellington, New Zealand based Global Volunteer Network (GVN). 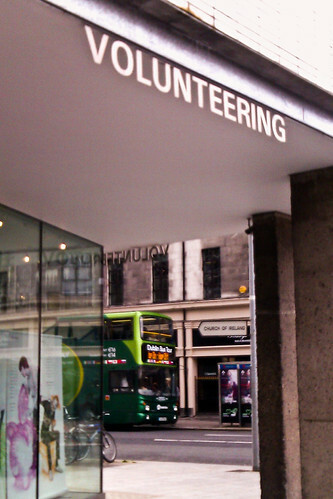 That’s right; today’s spotlight on volunteering takes a unique perspective. What if you could combine your interest in traveling with your passion for volunteering? Well, that is just what GVN has done. Founded in 2000 by Colin Salisbury after he volunteered in Ghana,West Africa, GVN has placed more than 14,000 individuals to about two dozen countries around the world. Although I couldn’t find a concrete answer on their website, it appears that most volunteer opportunities last for about a week or two. A few years ago my friend Kim spent her vacation in New Orleans helping rebuild a community that was devastated by Katrina. She found the experience to be fun and really rewarding. One of the program’s that I like most that GVN provides is their Youth Tour which gives 15-17 year olds the chance to explore a new part of the world while learning a life-long lesson of service. This year their trip is to Vietnam. Click here for more details. A recent post on the New York Times blog by Heidi Mitchell focuses on Voluntourism. If you are considering your volunteer trip, I recommend checking her article out to familiarize yourself with GVN and other groups providing similar services. 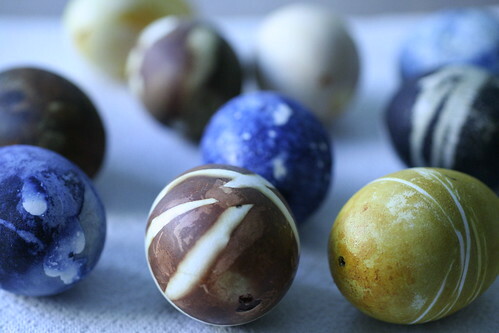 Happy Easter to those of you celebrating Easter today. I thought I would mix it up today and share a different type of volunteer resource with you today. Volunteer.gov is volunteer portal that connects US citizens with volunteer opportunities with various local, state and federal agencies. The portal was launched in 2002 by then President George W. Bush. To my knowledge this was the first time such a resource had been rolled out nationwide. So how does it work? You just go to www.volunteer.gov and search for volunteer opportunities in your area that meet your interest. For example I choose DC and then typed in “Parks” for the keyword and it churned out 12 different volunteer opportunities in the area that involved parks. There were several activities; from maintaining parks to being a docent to my favorite of them all: counting non-migratory Canada Geese. Once you’ve found an activity that you like, you register and notifications are sent immediately to both you and the activity coordinator. A sense of solidarity and service, plus commitment to share one’s knowledge, skills, time, and effort with others (the volunteering “ethos” or spirit). A willingness to serve in a non-salaried, non-stipend volunteer position with no or little remuneration beyond incidental expenses (arranged on a case-by-case basis and subject to the availability of funds). If you have volunteered through Volunteer.gov before, please consider sharing your experience here.